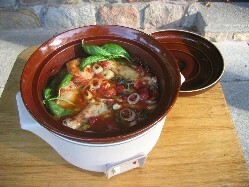 Do slow cooker or crock pot barbecue recipes freely fit with my website? Absolutely! Just because we're not outside doesn't mean that there isn't a place for low and slow cooking to produce those supremely moist and tender results. After all, that's why we all love barbecue right? Maybe the weather's not favourable for an outdoor cookout. 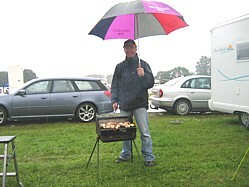 Of course it's only idiots like me that still need that barbecue fix when it's raining. I can also understand that you want that barbecue taste on a year round basis and when it's so cold outside then maybe the crock pot is the answer. It certainly is when it comes to delivering that great barbecue taste midweek, just set the slow cooker off in the morning and return home to a veritable feast! It's taken me a long time to get into crock pot cooking. 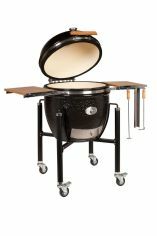 Being European, the concept of cooking low and slow on a barbecue smoker is alien. My own outdoor cooking experiences in the early days were all about grilling - direct dry heat for a relatively short period of time. It's only in the last 10 years that I've started to experiment and learn about barbecue smoking and what you can do with low and slow cooking. My mother bought me a slow cooker many years ago and it has sat in the back of the kitchen cupboard more or less ever since, but now that I've discovered hot smoking it's made me realize that there's more to crock pot cooking than just throwing a load of ingredients in, setting it off and returning home in the evening to a mush. It is a cooking technique and should be respected as such, it's not a one size fits all convenience cooker. It certainly works for pulled pork which has to be done slowly in order to ensure that it's tender. And the other benefit of many slow cooker recipes is that you can choose your preferred barbecue sauce from my extensive list. Below I've got slow cooker or crock pot barbecue recipes for ribs, chicken and even meat balls so click on the links and you can continue to enjoy barbecue right through the winter. Note:- Slow cooking happens at low temperatures so you will never brown food. If you want to brown meat then the best way is to seal it first in a frying pan. When you've had your fill there's one more thing that's great about slow cooking and that's the clean up after the cookout which is really easy if you know how. Use hot soapy water and a nylon scrubber. Never use a brillo because you'll scratch the surface of the pot. Stains can be removed by cooking water and white vinegar on the "high" setting for around two hours.